Image courtesy of Brown & Beattie Ltd. Parking garages are typically concrete and steel structures which provide space and shelter for vehicles. They are subject to wear and tear from regular use and environmental stresses. Established in 1981, Ronald McDonald House Charities Toronto is a charity that provides a “home away from home” for seriously ill children and their families who must travel to Toronto to receive specialized medical treatment. The families we serve- over 4,300 this year alone- come from communities large and small throughout Ontario, across Canada and around the world. The Town of Georgina is trying to figure out how much money it’s going to cost to fix its aging infrastructure. The most up to date and extensive resource for condominium owners and industry professionals. The monthly resource will update you on changes that will effect YOU and your property. Ontario Condo Act a Roadblock for Electric Vehicle Owners, Philip Lee-Shanok, CBC News, June 12, 2017. Brown & Beattie Responds to Fatal Brantford Explosion, August 25, 2011. 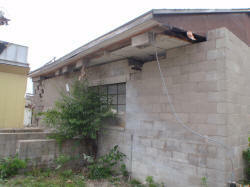 On August 25, 2011 a home in Brantford, Ontario exploded causing one death and destroying the house. Several other homes in the area where also damaged from the explosion which likely was the result of natural gas. Several insurance companies contacted Brown & Beattie to assess the extent of damage to houses and buildings in the area. We worked with adjusters and emergency contractors to ensure these structures were safe to enter and occupy. Repair drawings were prepared for those buildings with structural damage. These drawings were then used as a basis for related building permits necessary to repair the damage. So far a total of 17 properties have been assessed by Brown & Beattie. Vacant Rooftop Becomes Garden Paradise, Debra Black, The Toronto Star, July 6, 2011. In 2010 when Condo Owner Sharon Wright came to us with her vision of her third floor Queen Quay terrace in Toronto, we were sceptical. She basically wanted to change which was an inverted roof system which faced the Gardiner Expressway into a beautiful terrace. 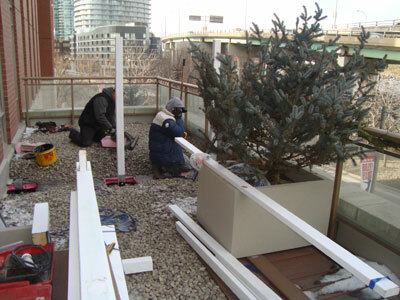 She needed an engineer to certify that the new loads would not compromise the structural integrity of the building and to design a fence which when constructed on the roof deck would incorporate a durable waterproof connection. Brown & Beattie Ltd. carried out the necessary review, designed the waterproof fence post details and prepared the drawings for permit application. 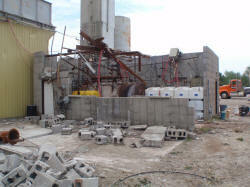 We followed-up by reviewing the work carried out by the contractor. Ms. Wright was very instrumental in the process. She had the vision and determination to see this project through by co-ordinating with various trades, material suppliers, city building officials and the Condominium Corporation. She personally handled the decorating which completed her Garden Paradise. This project was featured in the Toronto Star and yourhome.ca which can be accessed through the link below. The town of Midland, Ontario declares a state of emergency after a tornado tore through the south end of town on June 23, 2010. Brown & Beattie Ltd. responded to calls from insurance companies to assess the damage to several commercial and residential buildings by our forensic and structural engineers within days of the tornado. Structural assessments and design of structural repairs were completed in a timely fashion to minimize safety issues and expedite repairs. Services included the preparation of reports outlining the scope of work and drawings to repair the damage for budgeting and the application of building permits. Stephen Brown summits Mount Kilimanjaro, January 11, 2010. 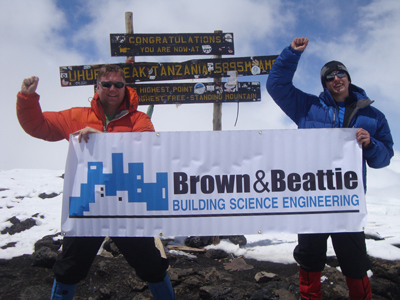 Stephen Brown, P.Eng., co-founder of Brown & Beattie Ltd., and his son, David Brown climbed Mount Kilimanjaro in Tanzania reaching the summit on December 29, 2009. During their 8 day climb up Africa’s highest peak at 19,340 feet, they crossed through 5 different climate zones; grassland savannah, rain forest, moorland, alpine desert and arctic tundra. Beyond the physical challenges, their journey required them to adapt to the different climates with varying humidity, precipitation, wind and temperature and testing the limits of the clothing, gear and shelter in an effort to stay warm and dry. These challenges are not unlike those facing the building science industry in the design, analysis and retrofit of buildings. Tornados rip through southern Ontario, April 20, 2009. On August 20, 2009 several tornados ravaged York Region and Grey, Dufferin and Simcoe counties. At least one category F-2 twister was confirmed by Environment Canada with the storm causing damage to hundreds of buildings. 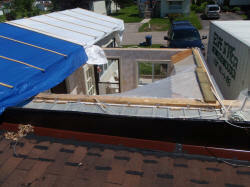 Brown & Beattie Ltd. was quick to respond to calls from insurance companies eager to assess the damage. 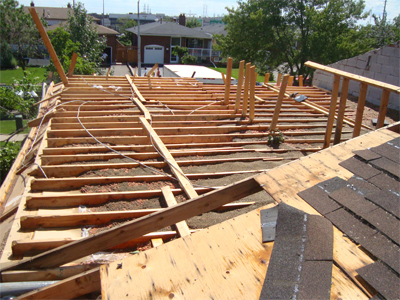 Our forensic and structural engineers responded to over 25 damage claims working closely with insurance adjusters, building and home owners, restoration contractors and municipal authorities. Structural assessments, design of temporary support to prevent collapses and design of structural repairs were completed in a timely fashion to minimize safety issues and expedite repairs. Services included the preparation of drawings to repair the damage to roof and wall systems and the application of building permits. Balcony Concrete Repairs, King Packaged Materials Newsletter, Issue 4, Fall 2008. Toronto propane blast damages hundreds of buildings, April 10, 2008. 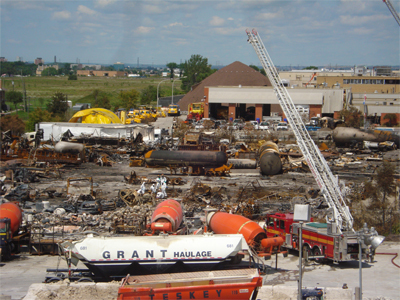 On August 10, 2008 an explosion at a propane facility in North York caused damage to hundreds of buildings and homes. Brown & Beattie Ltd. responded to a flurry of requests from insurance companies requesting damage assessments and safety inspections necessary to allow fire and insurance investigators to enter affected buildings. Our forensic and structural engineers completed over 50 assignments including damage to a concrete plant, a municipal works building, a salt storage dome, an EMS building, several commercial buildings and dozens of homes. Some of the homes investigated included those across the street from ‘Ground Zero’ where damage was extensive and in some cases required complete re-construction.